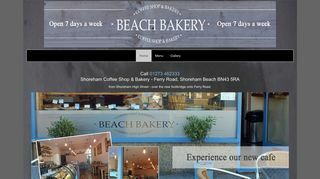 Newly refurbished bakery on shoreham beach turned into a lovely little cafe offering pastries, pies, baguettes and the nicest salad boxes. The service is absolutely lovely every time I pop in, love what they’ve done with the place! Seating inside and out so ideal spot for lunch or light bite in the sun. Short stroll from the beach 🏝 so easy to grab some food or drinks and head over. Look forward to popping here for breakfast soon!